A valuable way to promote and share your #hashtag board is by using our FREE embed code for your website or blog, it’s easy to do and looks great. We have our default embed code below or you if you are interested in our customize your embed code, click here. 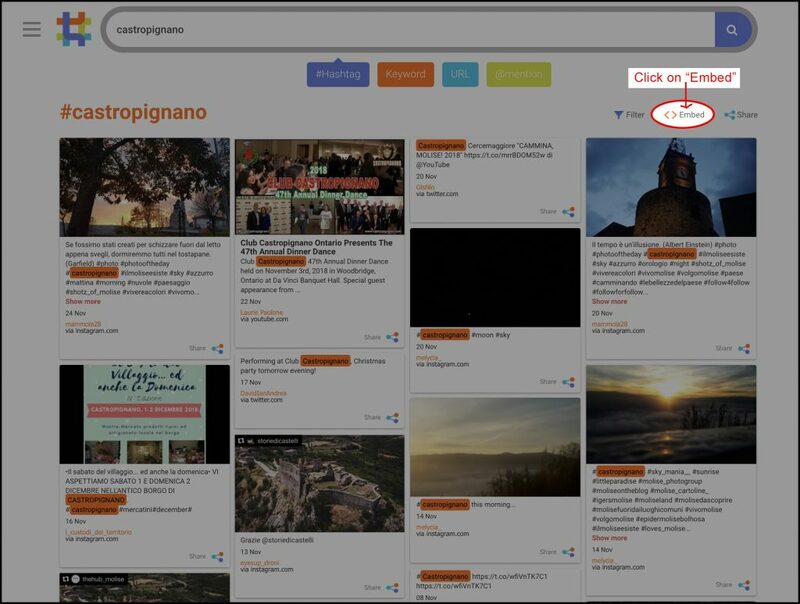 From the search results page click on the Embed link. 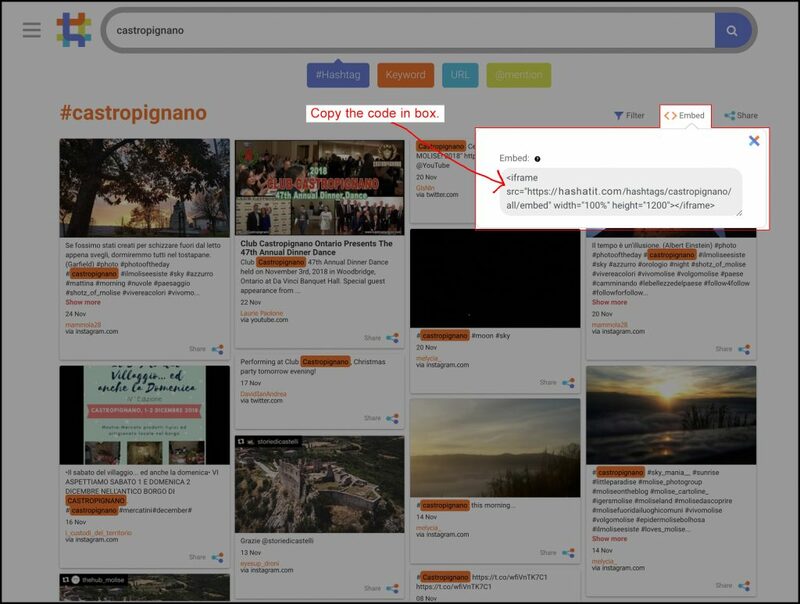 COPY the Iframe code inside the embed box. Paste the embed code into your favorite HTML editor. Save and view it in your web browser. 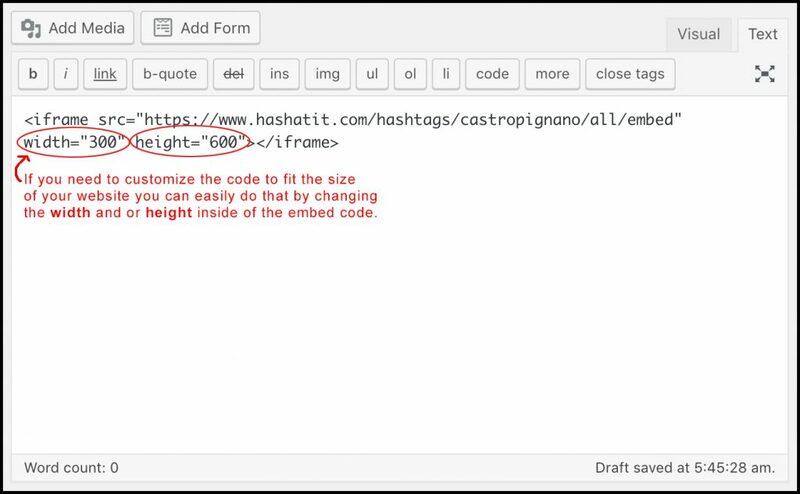 -If you need to customize the code to fit the size of your website you can easily do that by changing the width and or height inside of the embed code.